Malacoptila panamensis Lafresnaye, 1847, Panama. 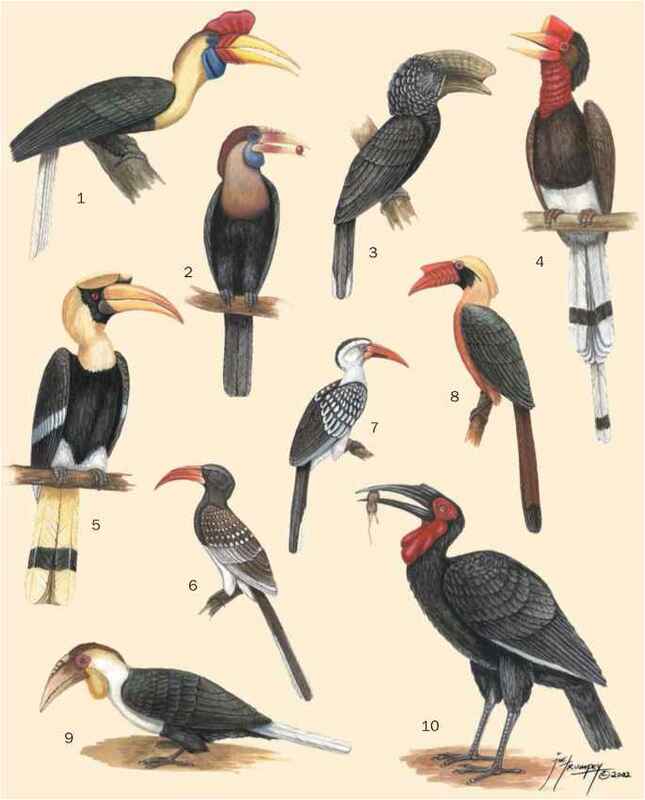 Four subspecies recognized. French: Tamatia de Lafresnaye; German: Weifizügel-faulvogel; Spanish: Buco Barbón. 7.1-8.3 in (18-21 cm); 1.2-1.6 oz (33-46 g). Male mainly rufous, with white 'whiskers'; belly and flanks streaked blackish and white. Female similar, but duller brown on head and up-perparts. Bill dark with basal two-thirds of lower mandible yellow; eyes red. 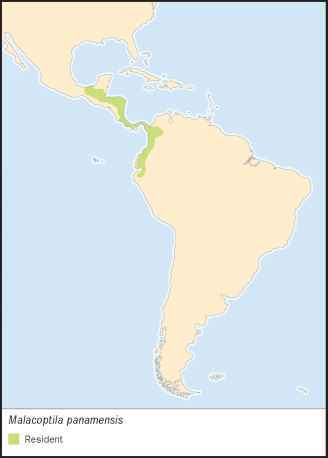 M. p. inornata: southeastern Mexico to western Panama; M. p. panamensis: southwestern Costa Rica to northwestern Colombia; M. p. magdalenae: west-central Colombia. M. p. poliopis: southwestern Colombia and western Ecuador. Occurs in lower strata of primary and secondary humid forest and adjacent shady pastures; often perches by small openings such as trails. Sedentary on year-round pair territories. Perches immobile and inconspicuous for long periods. Still-hunts from horizontal perches, consuming large arthropods, especially grasshoppers; small reptiles and amphibians are also taken. Sometimes attends ant swarms or mixed-species flocks. Nest burrows are dug in level or sloping ground, or in arboreal termitaries; occasionally uses tree holes. Same hole can be used in successive breeding attempts. Two to three eggs are laid; incubation period unknown but fledging period is about 20 days. Not threatened. Although rare in the northern portion of its range, it is common in southern Costa Rica and parts of western Colombia and Ecuador.